Today's health tip is actually just encouragement to keep aiming towards a healthy lifestyle. You may get off track occasionally, however the key is to get right back on track as soon as possible. You won't make perfect health choices everyday, but if you consistently strive to make health a priority, you won't get too far off. Galatians 6:9 reminds us to not get weary in doing good because in due time we will reap the reward. So, if you give in and eat a cookie when your goal was to eat no sugar, don't despair. However, don't throw up your hands and eat a whole bag of cookies either; stop immediately and get back on track. Self-control is not something we are good at naturally. Self-control is a fruit of the Holy Spirit in us. (Colossians 1:27) Keep pressing in to Jesus and pressing on towards your goal! 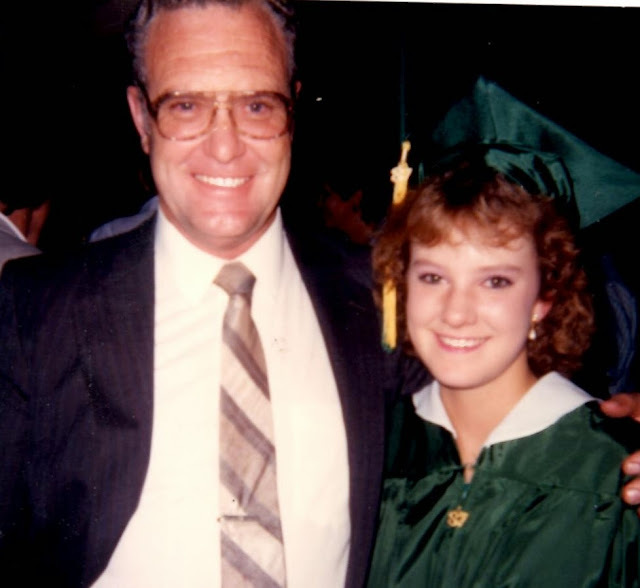 This is a pic of Dad and I twenty-eight years ago!